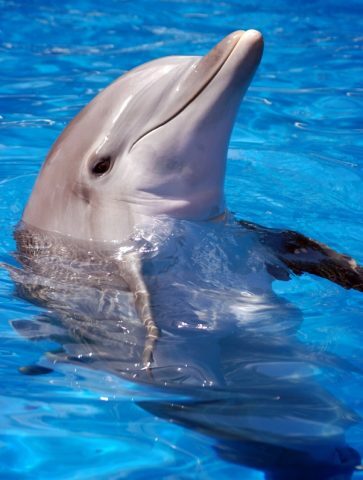 The bottlenose dolphin belongs to the family Delphinidae in the suborder Odontoceti, order Cetacea. 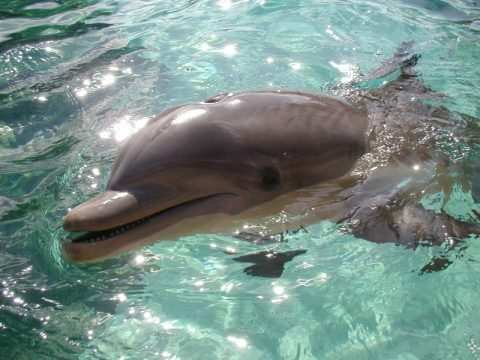 It is classified as Tursiops truncatus. Bottlenose Dolphin, best-studied and generally the best-known species of dolphin. It occurs along almost all tropical and temperate coasts to about latitude 40° south and to latitude 45° north, and around the British Isles it occurs up to latitude 60° north. Bottlenose dolphins are coastal in most areas and remain in groups of usually fewer than 20, although offshore varieties also exist in many places and, in deep water, groups can be as large as 200. Some populations make seasonal migrations.